ArcelorMittal contributed to an innovative construction project in France. It is a passive house building, an energy efficient building in compliance with the Passivhaus label, which uses solar energy and the heat produced by home appliances and residents to regulate the indoor temperature. 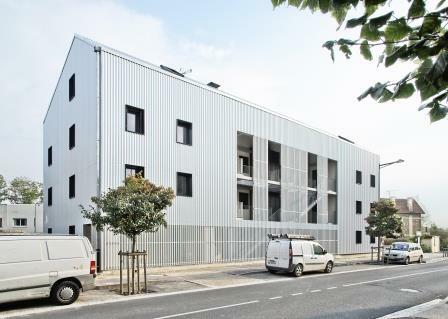 It is one of the first Passivhaus buildings built with metal façades and ArcelorMittal Construction France proudly contributed to this project by supplying steel trapezoidal profiles. 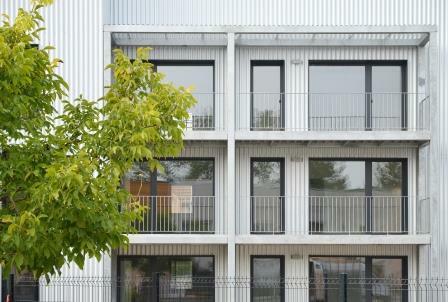 The Passivhaus building in the city of Châlons-en-Champagne is apublicly-owned housing composed of 12 apartments. It is part of the programme “Buildtog” (Building together), aiming to build accommodation in accordance with the energy efficiency German label “Passivhaus”. 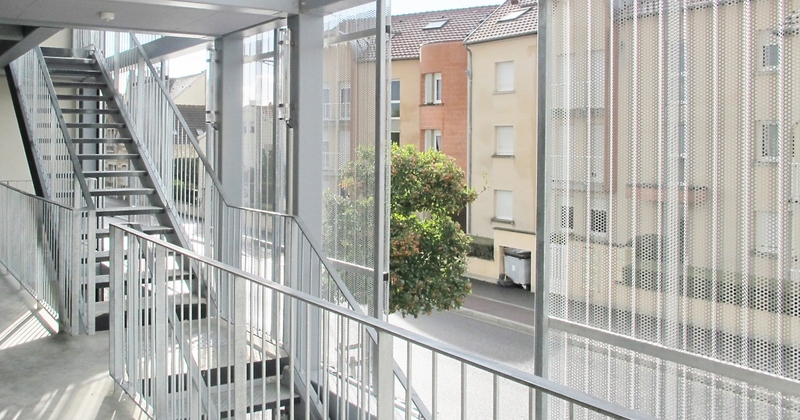 Jean-Michel Boulestin from ArcelorMittal Construction France, prescriber on this project, advised the customers to use our Trapeza steel profiles as they were looking for the best solution, combining cost-efficiency and aesthetic qualities. Thus making it one of the first Passivhaus buildings to be built with a metallic façade. The building façade and roof are cladded with plain and perforated Trapeza 8.125.25B and 8.125.25T steel trapezoidal profiles produced in Haironville. They are coated with *Kristal®, which offers strong corrosion resistance, light-reflecting finish with a long-term shiny appearance. 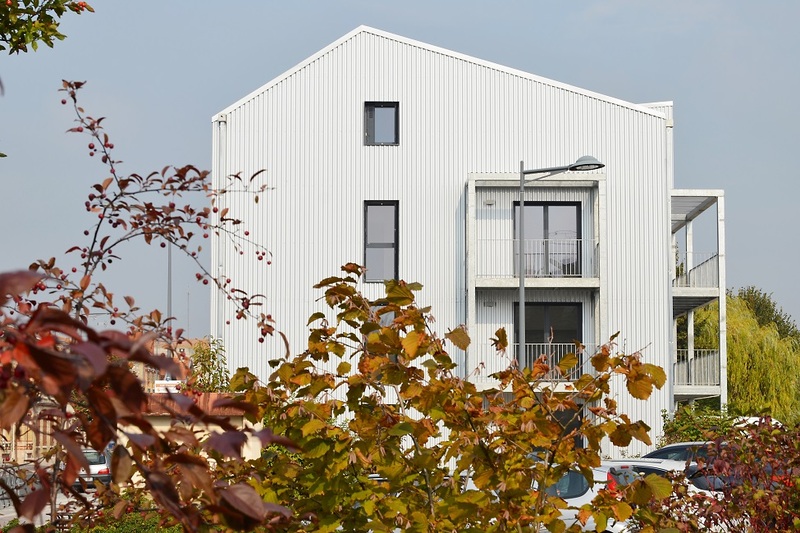 Thanks to the Buildtog project, it is possible to build collective housing with 80% energy saving compared to a regular building (thanks to the Passivhaus PHPP calculation tool), but without extra cost and while maintaining architectural quality. The objective is to create low-energy houses that allow conventional space heating to be omitted. Moreover, in terms of architecture, the orientation of the apartments offers a natural thermal regulation during summer and winter. The North-West side is oriented towards the traffic lane and the rear façade viewing the garden, is fully open on the outside, which allows a maximum solar contribution. The percentage of opening on the front differs according to the orientations and the presence of a system of occultations allows the regulation of the solar contributions according to the seasons. Overall, Passivhaus buildings are a sustainable, comfortable and affordable housing solution. They offer optimum thermal performances which are much higher than the current standards and anticipate future regulations. There are currently more than 25,000 Passivhaus buildings in the world and their number keeps increasing each year. Kristal®, an exclusive product of ArcelorMittal Construction France, produced by ArcelorMittal Europe – Flat Products in Dudelange (Luxembourg), presents similar characteristics than Aluzinc®, but with a specific aesthetic/finishing. It is an ideal metallic coating, combining design, aesthetics, and durability. It perfectly fulfills the requirements of architects thanks to the reliability of steel, the protection of zinc, and the stability of aluminium. With its natural silvery spangle, Kristal® is the creative touch which will transform a unique building into a remarkable one.